DVD2-16 –Metallica Am I Evil? CD5-6 –Metallica Am I Evil? 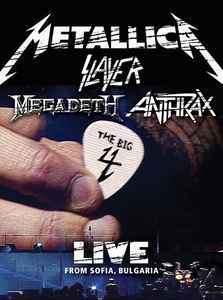 DVD2-19: Behind the scenes documentary, giving you exclusive access to THE BIG 4 backstage at SONISPHERE, including interviews and 'AM I EVIL?' rehearsal footage.